Well, 2013 was not a banner year for my woodworking project output. I worked on a few minor things that don't really deserve a page on this website, but in December I started this shelf for our bathroom. It was technicall completed in 2014 which leaves my published work for 2013 a big goose-egg. So we have a small audio system in our bathroom that's been living on the floor because we didn't want to use countertop space for it. I finally got this finished to keep it stored on the wall at about eye level. 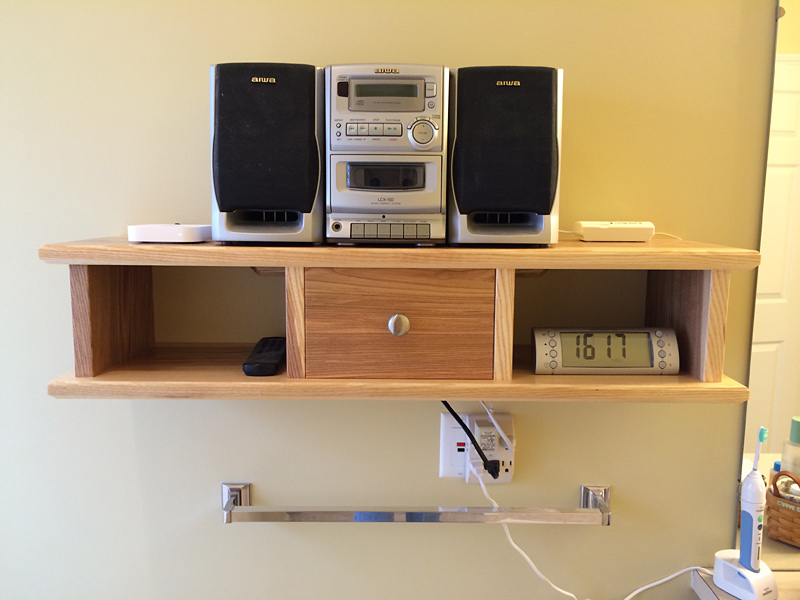 It's out of the way, is easy to access and use, and the shelf looks ok too. It's made out of 1" thick ash that I've had laying around for about 10 years (it was harvested when the Emerald Ash Borer first hit Michigan). 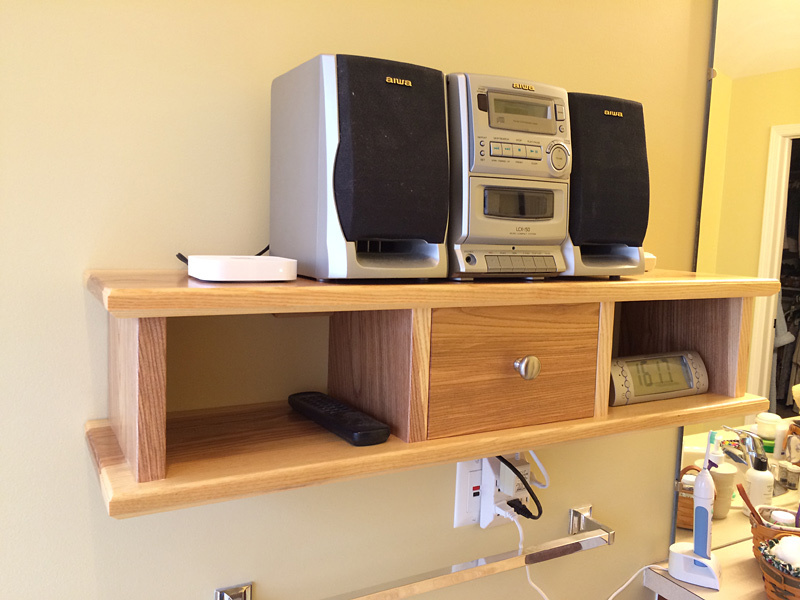 The faux drawer front actually hides a space to keep the jumble of wires and power cords. It needs a bit more organizing but it looks bunches better than it was. Finish is wipe on Deft satin lacquer. The thick ash is heavy and I hope it stays on the wall. If we hear a big CRASH in the middle of the night I'll check on this thing first.